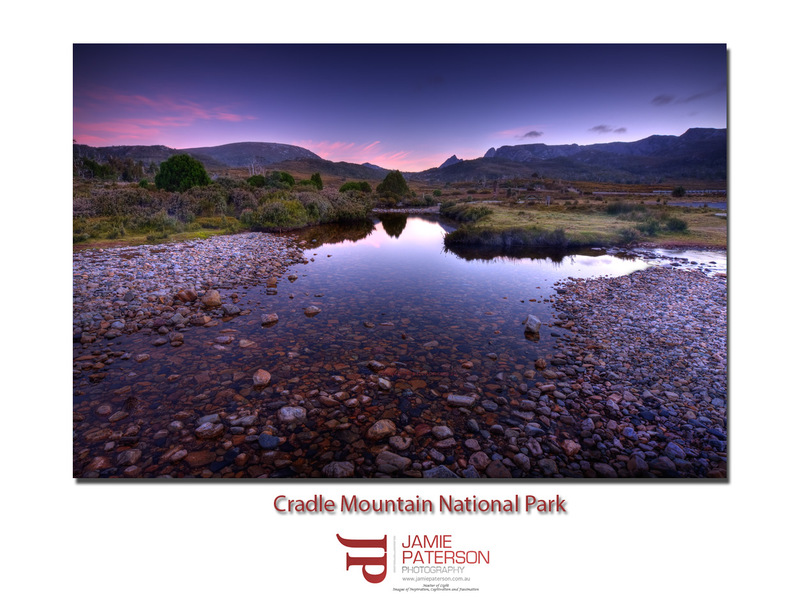 This entry was posted in Australian Landscapes, tasmania and tagged australian landscape photographer, australian landscape photography, cradle mountain, cradle mountain national park, discover tasmania, Jamie Paterson, long exposure, sunsets, tasmania. Thanks for stopping by. I’m definitely heading back there in late winter or early spring. I was able to step across some stones to get to Mt Kate Hut because the water level was so low and still. Wow, mate, the colours are stunning. Nice framing, too. Thanks for that. This may very well be the photo that I put into a few awards this year. Oooh, this is just great Jamie. Thank you! Its my favourite pic of the year so far. If you’re going there make sure you rug up! Thanks for the great comment. This shot is amazing! def one of the best shots ive seen on the blogs i follow. Tas look amazing!. battling the cold has paid off on this one. enter in some comps for sure! Thanks for that great comment. Its awesome when someone enjoys a photo as much as you have. Makes it all worthwhile! Hey Jamie really nice work you have been doing, just checking out some of your latest shots.Been off the blogging thing for a while now as i have been too busy.Your photography has come a long way since i last looked on your site Nice stuff keep it up. How good it is to see you still around!!!! Believe me when I say you are certainly sorely missed in the community. How is motherhood the second time round? Thank you so much for your comments about photos. nice image… definitely one for the awards. Thanks for stopping by and commenting for the first time and for the great feedback. Much appreciated. I’m definitely going to have to do something with this photo now. Thanks for that mate. I still really like your red shade photograph! Its a great shot. I have so many great memories of Cradle Mountain. I once did a two day trek around the lake with a sleepover 200 metres from the summit. You have captured this well and I love the colours. Thanks very much for that. Not sure if I’d sleep near the summit, I get pretty freaked out by heights. Supurb shot Jamie! one of my favs or yours! Thanks very much for that. Truely a great compliment! ahh such beautiful purple tones throughout this photo jamie! Thank you for commenting as always. I always appreciate your feedback. Happy anniversary! Sounds like your weekend with Daniel was really nice. Nice image from one of my favourite parts of the world! Heading down there to see my dad in a few days, can’t wait! Certainly a compliment considering you’re a local. Hope you have fun down there. Will you be trying to get any shots of Mt Roland at all? Ahhhh the ultimate compliment. Thanks Christian. Much appreciated. Lovely shot Jamie. Really nice, well done. Thanks very much mate and I just love your Quokka shot. Like I was saying on your blog I’ve never seen a Quokka joey before. Yes, I will be trying to get some new images of Mt Roland, also try and get some more up around the Cradle as well! Well I hope you get some stunners. Beautiful shot Jamie. It’s nice to see someone doing something a little different to the normal run of the mil shot of Dove Lake with the popular hut. Thanks for that I really appreciate it The irony is though, I was going to put up the Dove Lake shot next! I might have to hold off for a bit. Tasmania looks like the next best place to be for photos..apart from the temperature! Yes I have to admit I was very taken with Tasmania. stunning shot jamie, i’m yet to get to tassie but this cements my desires! You should get down there and check it out. Its only 45mins from Tullamarine Airport. Jamie, you really nailed that one. Excellent work and definately print, frame and competition worthy. Well done. I spent 2 days at Cradle Mountain a couple of years ago and loved it. Thanks for that mate. This photo is growing on me more and more.